A bed without a quilt is like a sky with no stars! After my wonderful purchase at the vintage fair on Saturday at the Cotswolds and the fact that I am attending the vintage fair at the gorgeous setting in Bath at the American Quilt museum, it has me all fired up about the origins of my beautiful buy. I will never know of course, the exact date of the quilt or who made it but I do know it was made before 1900 so it is a very old quilt indeed. I was looking up basket quilts on google (my friend for knowledge) and found it is a very popular design and there are variations on theme. Some just a basket, like mine and some with flowers too. 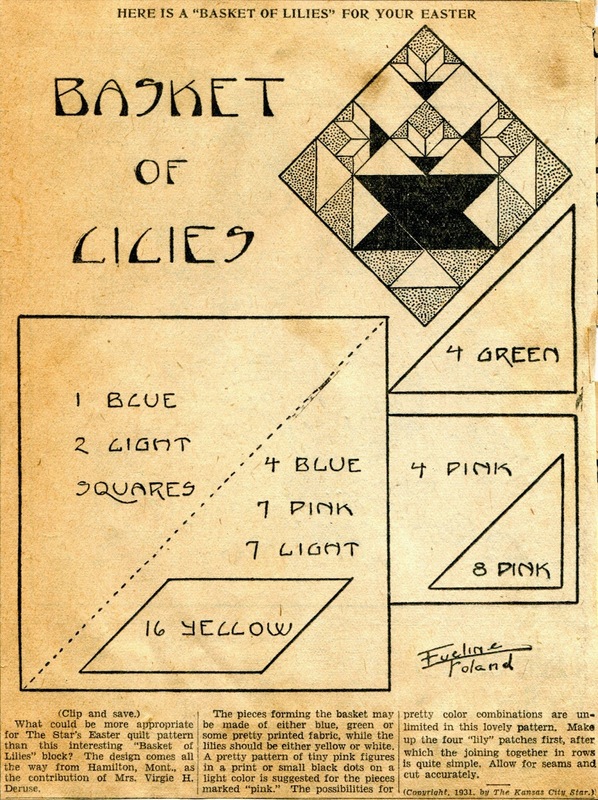 An example of a vintage basket quilt pattern. I am going to love walking around the museum in Bath and be able to look at lots of different quilts and be able to do, I hope, an interesting blog for you on it. I am going to see If my quilt can be dated at well and give me some idea if it is English or American. 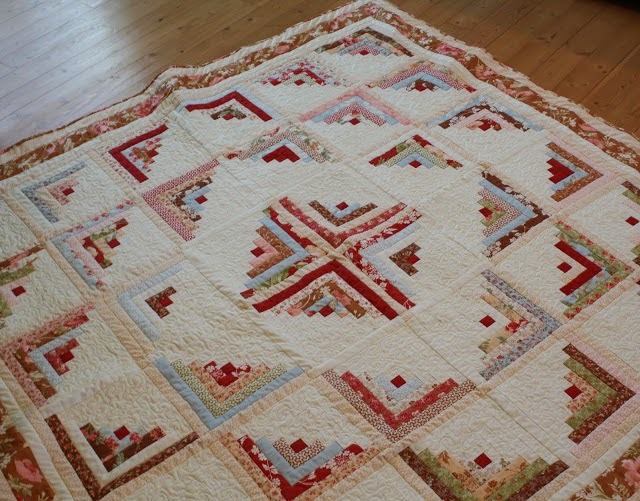 This is a beautiful example of a log cabin quilt but done in such a way that it looks very 3D and layered. This is so lovely but I am afraid I do not know who made this to give credits to. Well I am off to my sewing room, so have a wonderful day and Happy Stitching!